Alphatherm Beta ATE 100 82500.00 руб. Alphatherm Beta ATE 60 58300.00 руб. Alphatherm Beta ATE 70 64300.00 руб. Alphatherm Beta ATE 80 69300.00 руб. Alphatherm Beta ATE 90 75600.00 руб. Alphatherm Delta AG 14 24500.00 руб. Alphatherm Delta AG 22 26600.00 руб. Alphatherm Delta AG 29 28420.00 руб. Alphatherm Delta AG 37 32000.00 руб. Alphatherm Delta AG 44 38100.00 руб. Alphatherm Delta AG 52 39900.00 руб. Alphatherm Delta AT 14 22200.00 руб. Alphatherm Delta AT 22 24800.00 руб. Alphatherm Delta AT 29 27900.00 руб. Alphatherm Delta AT 37 30900.00 руб. Alphatherm Delta AT 44 36700.00 руб. Alphatherm Delta AT 52 39500.00 руб. Alphatherm Delta ATE 113 117800.00 руб. Alphatherm Delta ATE 130 121600.00 руб. Alphatherm Delta ATE 14 25800.00 руб. Alphatherm Delta ATE 146 150200.00 руб. Alphatherm Delta ATE 162 151500.00 руб. Alphatherm Delta ATE 180 159800.00 руб. Alphatherm Delta ATE 22 27850.00 руб. Alphatherm Delta ATE 29 31500.00 руб. Alphatherm Delta ATE 37 24300.00 руб. Alphatherm Delta ATE 44 39600.00 руб. Alphatherm Delta ATE 52 40520.00 руб. Alphatherm Delta ATE 65 77500.00 руб. Alphatherm Delta ATE 81 87500.00 руб. Alphatherm Delta ATE 97 103100.00 руб. BAXI SLIM 1.150 i 38200.00 руб. BAXI SLIM 1.230 Fi 51700.00 руб. BAXI SLIM 1.230 FiN 44700.00 руб. BAXI SLIM 1.230 i 40570.00 руб. BAXI SLIM 1.230 iN 33500.00 руб. BAXI SLIM 1.300 Fi 55200.00 руб. BAXI SLIM 1.300 FiN 47900.00 руб. BAXI SLIM 1.300 i 43800.00 руб. 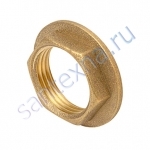 BAXI SLIM 1.300 iN 36900.00 руб. BAXI SLIM 1.400 iN 43000.00 руб. BAXI SLIM 1.490 iN 46200.00 руб. BAXI SLIM 1.620 iN 58500.00 руб. Protherm Гризли 100 KLO 98700.00 руб. Protherm Гризли 130 KLO 119900.00 руб. Protherm Гризли 150 KLO 132500.00 руб. Protherm Гризли 65 KLO 72600.00 руб. 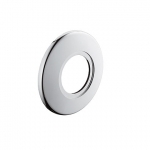 Protherm Гризли 85 KLO 83600.00 руб. Protherm Медведь 20 KLOM 27900.00 руб. Protherm Медведь 20 PLO 26100.00 руб. Protherm Медведь 20 TLO 30900.00 руб. Protherm Медведь 30 KLOM 30900.00 руб. Protherm Медведь 30 PLO 29050.00 руб. Protherm Медведь 30 TLO 34900.00 руб. Protherm Медведь 40 KLOM 35900.00 руб. Protherm Медведь 40 PLO 34000.00 руб. Protherm Медведь 40 TLO 39800.00 руб. Protherm Медведь 50 KLOM 40900.00 руб. Protherm Медведь 50 PLO 38100.00 руб. Protherm Медведь 50 TLO 45200.00 руб. Protherm Медведь 60 PLO 42200.00 руб.